where she could. She is responsible for helping set up a dog training program at one of L.A.’s city shelters, and conducting a training class specifically for the shelter dogs while they are housed there. Because of that effort, she was awarded the 2008 Volunteer of the Year Award from the City of Los Angeles. Regardless of the issue, from aggression to housebreaking or just basic obedience and manners, every dog deserves the opportunity to be the best he can be. 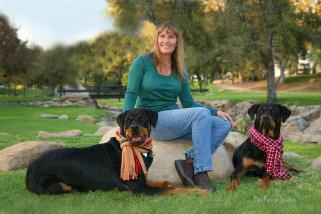 Rayna is passionate about educating people on the humane and positive ways to train their dog. With in-home private training, owners and dogs are worked together so that after training is finished, owners will have the knowledge and skills needed to maintain their unique and special relationship with their dog. • Volunteers her time and expertise to various rescue organizations. • Strives to further her education by attending behavior/training conferences. You were my teacher and my guide into my life of dog training. Always patient with me, always willing to give more. You were my sweet Golden boy. I love you, I miss you and I am forever grateful. Dog of my heart…because of you I learned how to be more than just a “trainer”. You taught me so much and forever changed the way I work and handle dogs. You were my partner, my very best friend. We grew and learned so much together, you and I. I miss you beyond words and I thank you for the gifts you gave me. 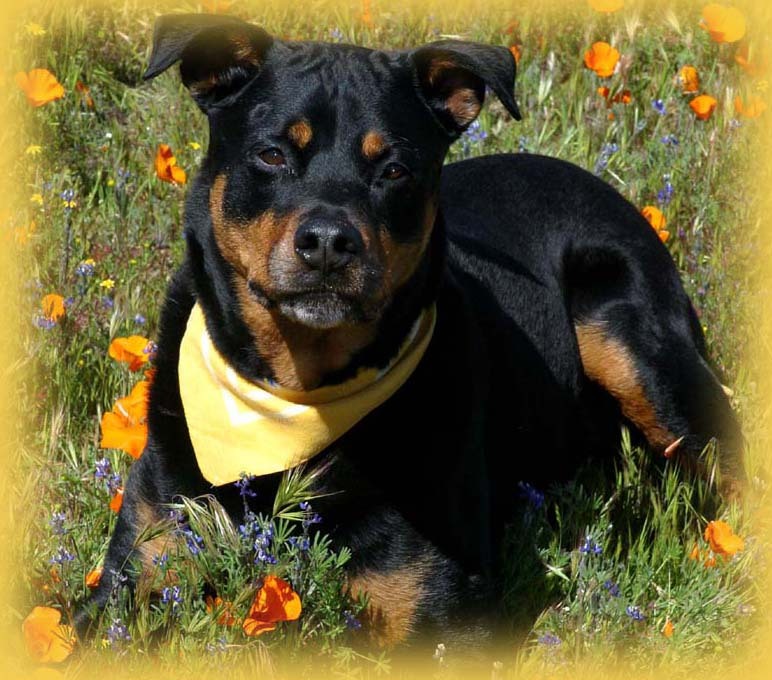 Rayna is a Certified Professional Dog Trainer who began her training career over 20 years ago while working and training her own dog in obedience competition. People would invariably approach and ask for help in training their own dog. Her passion took roots. Her expertise now is dealing primarily with behavioral issues, and transitioning new dogs into the home. Due to the tremendous over-population of dogs in our society today, many dogs coming into a new home are from shelters or rescue organizations. These dogs and families often need extra help with their relationships.